It’s evening. Need I look at the clock? The birds have all gathered on the branches of the tree outside my window. Not one is quiet. They chirp and chirr-up – all together. Where was the grain abundant? How’s your kid doing in her flying lessons? Do you think I’m pretty? How’s your digestion? Soon it will be night and they will retire to their nests. 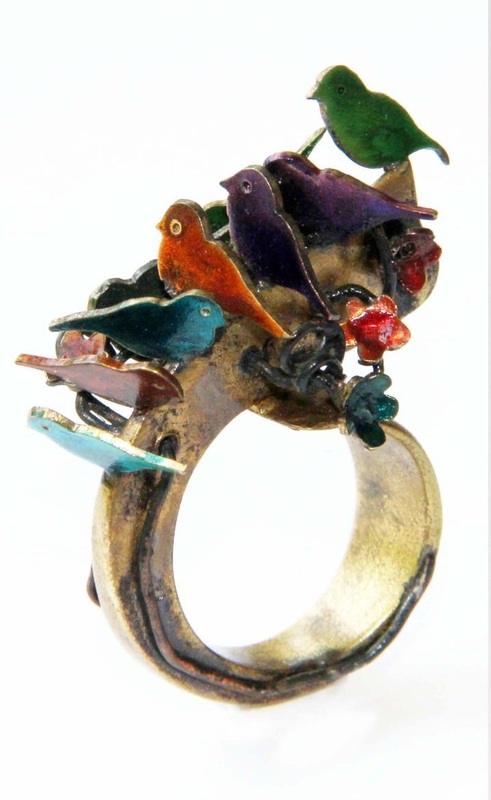 This entry was posted in art, contemporary, craft, jewellery, jewelry, studio and tagged art, birds, brass, contemporary, craft, creativity, Delhi, dusk, gathering, ring, silver. Bookmark the permalink.